Some time earlier I wrote about Berg & Berg's turtle neck merino wool sweaters, and today we'll finally have some examples of how to use these terrific pieces in the real world. The pictures here were taken in late September, perhaps, but are perfectly good sources of inspiration for the entire fall and winter season. 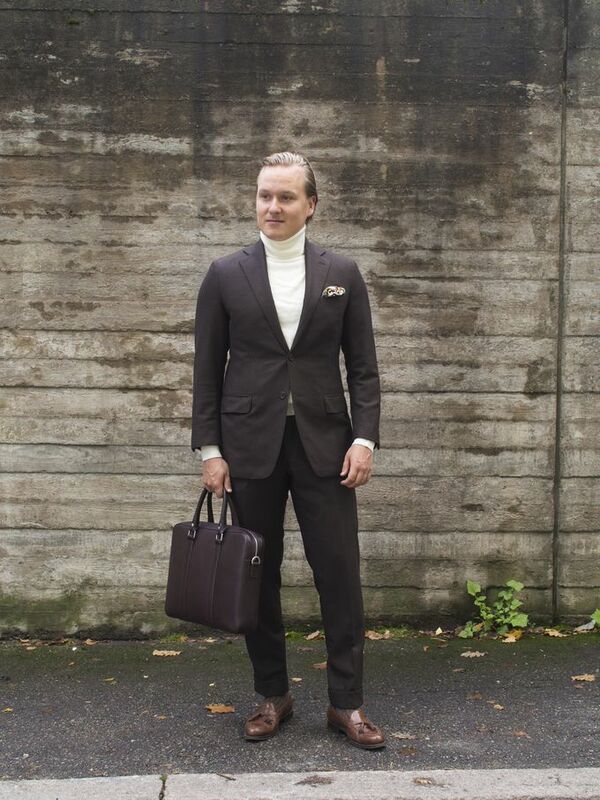 When it gets colder, just add an overcoat and change the shoes. 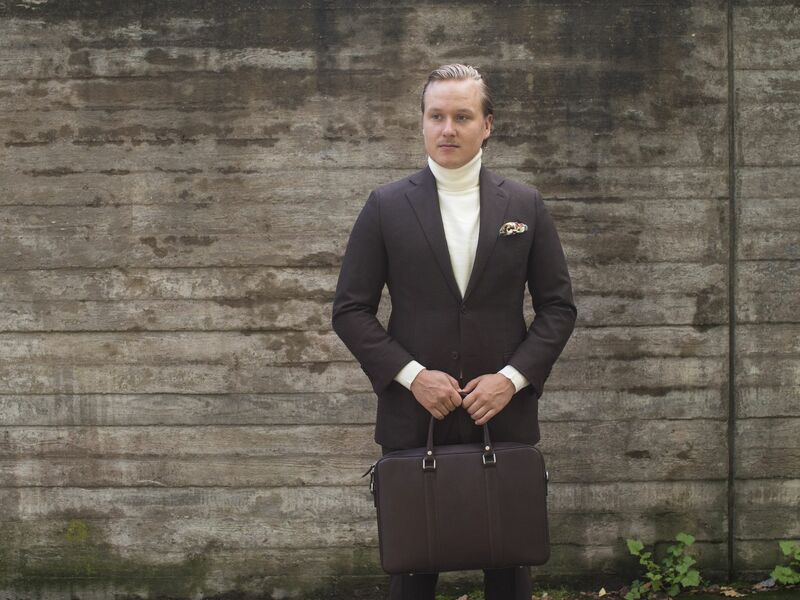 So, the worn items include a Vaatturiliike Sauma made-to-order suit from 130g/m2 Ariston wool flannel, Berg & Berg's merino wool sweater, Drake's London pocket square, Pantherella socks, Septieme Largeur loafers and Linjer briefcase. 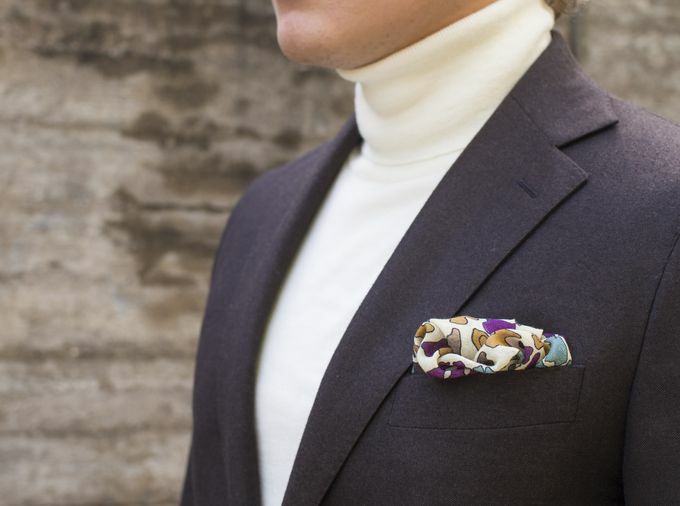 The natural white turtleneck sweater looks pretty amazing with the brown flannel fabric. The cream ish tone creates a beautiful palette of warm colors that goes perfectly with the soft seasonal textures of all the different fabrics. Elegant yet very comfortable-looking, a great choice for a more casual day at the office or a weekend dinner. The natural white base color of this Drake's London pocket makes this piece the best ever square for this outfit, complimenting the sweater while bringing a touch of color and some refined details to the entire look. 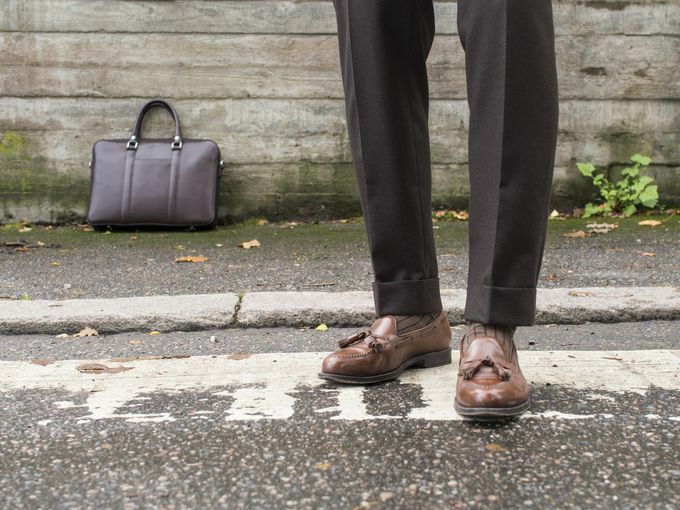 Loafers during fall? Sometimes, is my answer. In this particular case, I think they go quite well with the slightly more casual theme.